The Portraits of Diversity Project; a quest to capture the distinctiveness of global beauty through the medium of photography! FREE PHOTO SHOOT OPPORTUNITY! 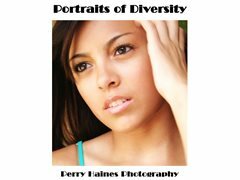 We are currently seeking diverse wonderful faces (teens through twenties) for ongoing book projects "Portraits of Diversity" and "Soy Latina." If you have a beautiful look and would like to be considered for a photo shoot, please send us an email with some recent photographs attached. Photo shoots are held every week in Temecula, California and surrounding areas. No experience necessary! And although this is not a paid project, for up to one-hour of your time, you will receive the photos from your shoot on a flash drive (or prints) absolutely FREE. You can use your images to build your portfolio or however you may please. There are no hidden costs or fees! Don't let this opportunity pass! We hope you will participate in this event, have fun, and have beautiful professional photographs that you can be proud of!